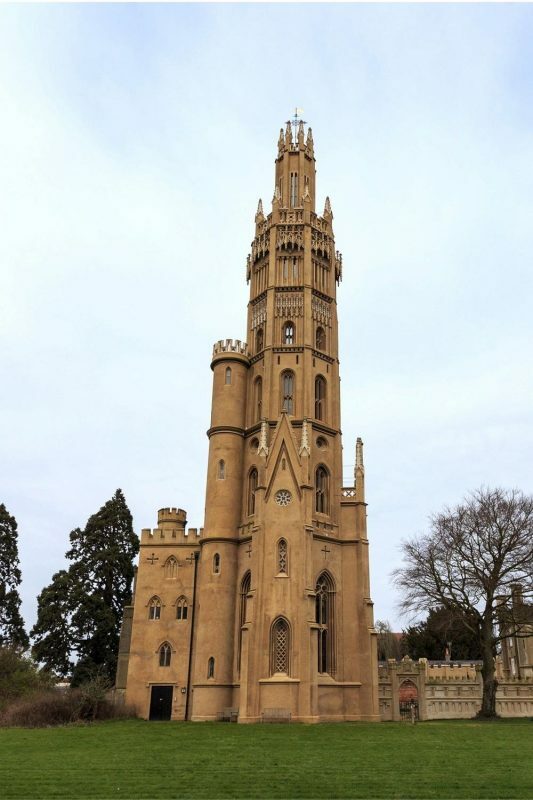 Just outside Tonbridge, Kent lies an unusual property: Hadlow Tower, which has earned the moniker of the ‘Rapunzel’ tower due to its unsettling history. 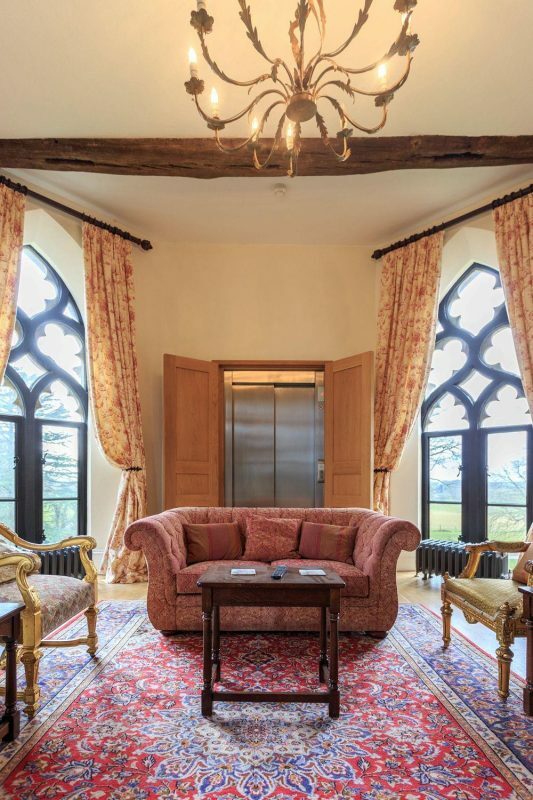 The tower was initially constructed in 1838 at the request of Walter May, a wealthy tycoon, who suspected his wife of having an affair with a local farmer and wanted to keep her under lock and key in proper Gothic style. If you can get past the tower’s creepy conception, it is a truly beautiful piece of architecture with a rich history. It is one of the tallest single properties in Britain standing at 175 feet tall. During WWII it was used as an observation post so that the Home Guard could spot and report incoming Luftwaffe. 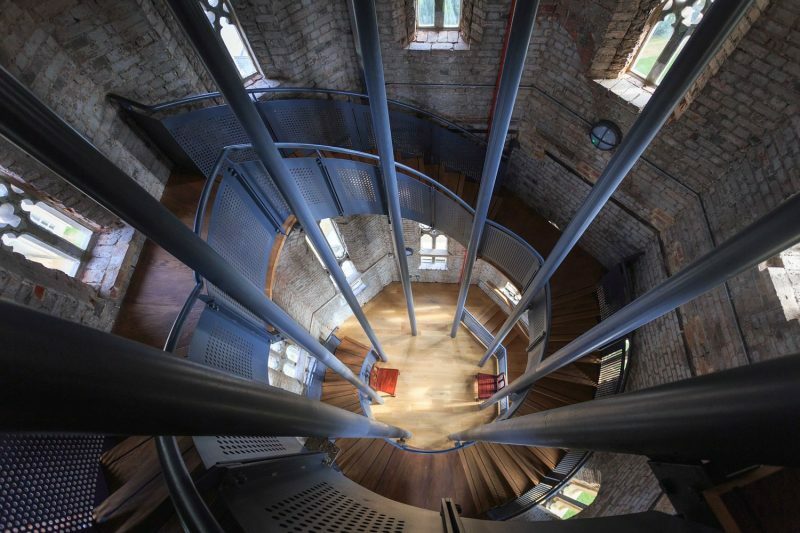 After falling into disrepair, the tower was fully restored with funding from English Heritage groups who wanted to see the historic building returned to its 19th century glory. 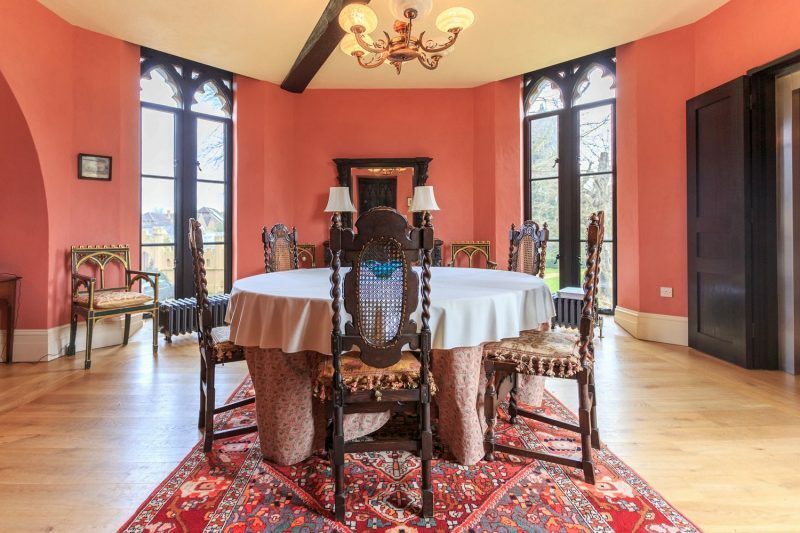 Now Hadlow Tower is on the market as a luxury home, though there is no published price available. Apparently the building is too ‘unusual’ to fit any standard price guides. 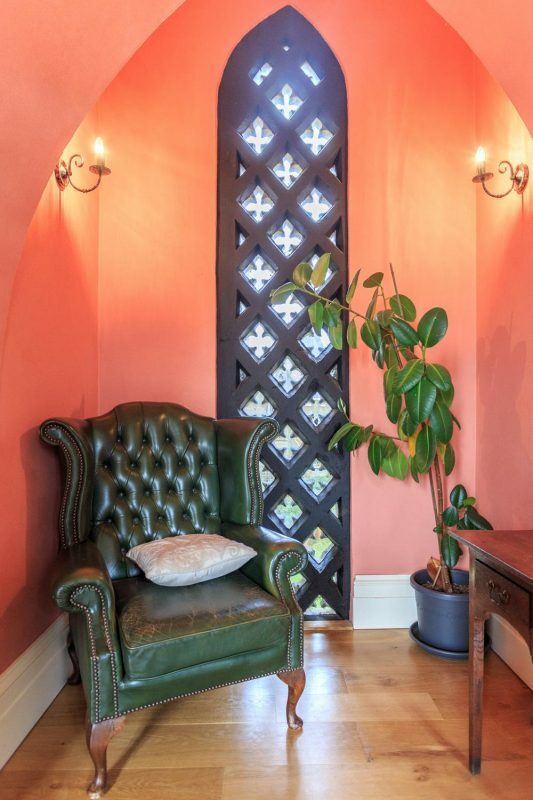 A steel spiral staircase leads up to the top of the tower where three bedrooms, two bathrooms, a drawing room, and a dining room are located. 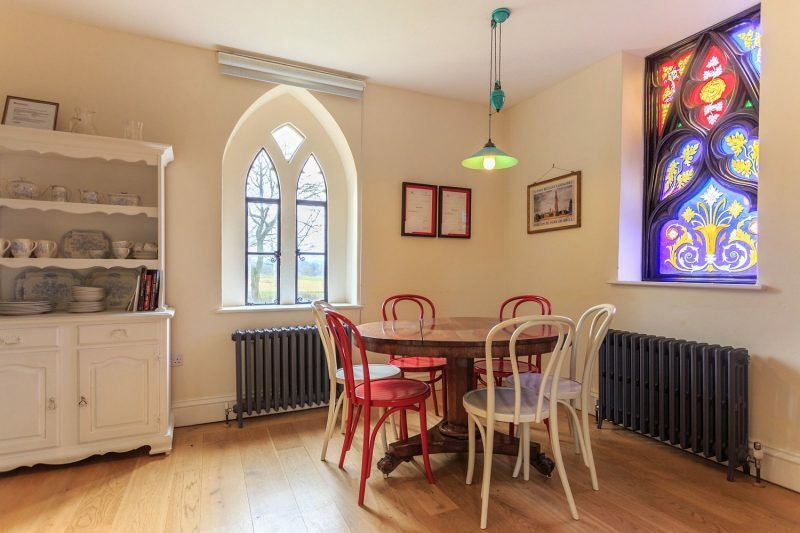 Unsurprisingly, there are beautiful views of the surrounding countryside that can be seen from the tower’s many lovingly restored Gothic-arched windows. 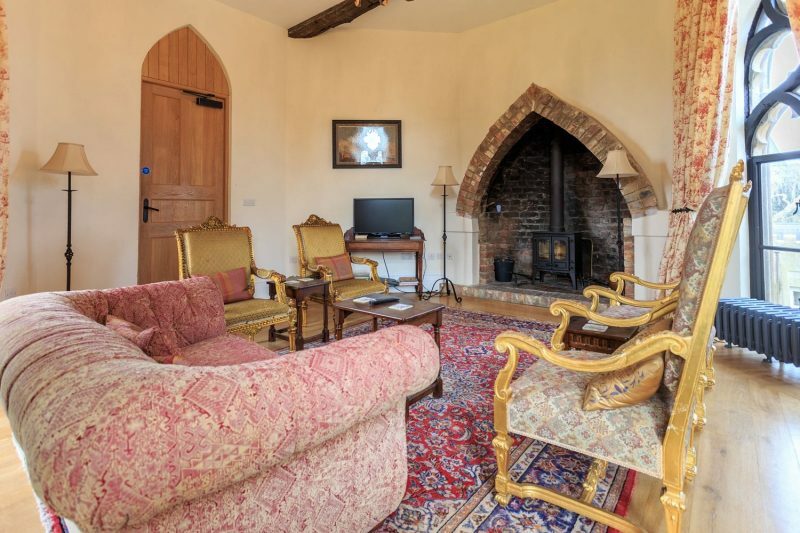 Currently it is assumed that an investor will purchase the property and turn it into an unusual but memorable holiday destination.